The wolf lives on. 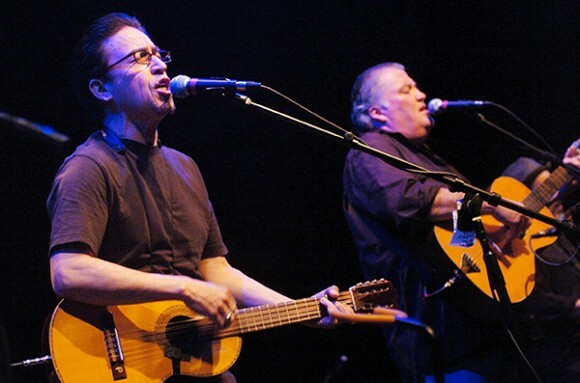 In their fortieth year as a band, fresh off a European tour opening for Neil Young and Crazy Horse, and between their own US tour dates in Sellersville PA and Chicago IL, East LA Chicano rockers Los Lobos hit the Fillmore stage for two nights in support of this year’s live release Disconnected in New York City. Get with them. Be a part of this music that redeems the drama of modern urban existence by turning it into what those of us who were born in a bygone world would call Life.